Doris Day Shares Her Big Plans for the Coming Year — and Beyond! Closer Magazine interview with Doris Day! 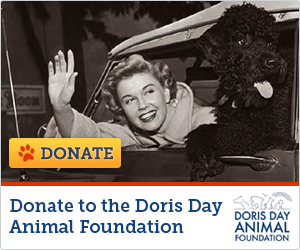 Doris' birthday is Friday, April 3rd. Please visit her website to leave her a birthday greeting and a gift of a donation to her animal foundation if you can! Use any of the links below.